How might the Promenade look one day? What do you think the future Melrose Promenade might look like? 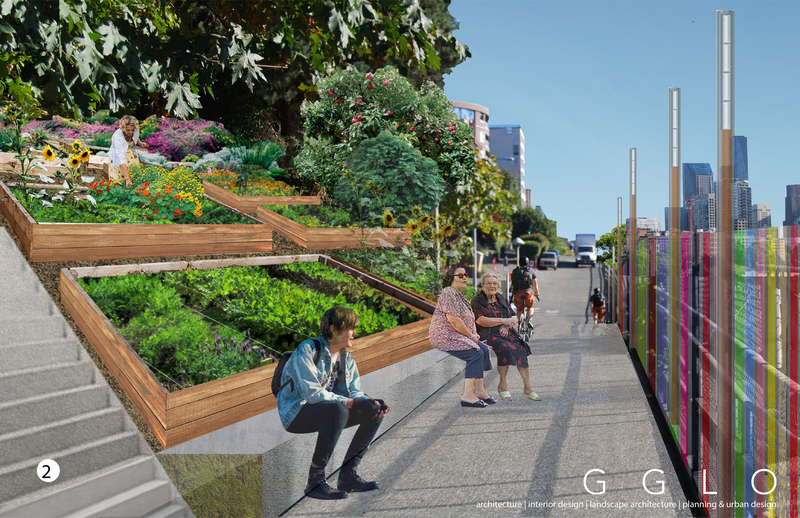 We are grateful to our friends at GGLO for producing these renderings, which are meant to get the conversation started. For instance, how would we like to see Bellevue Place Park used in the future? Would we like to see a p-patch under the trees along the bicycle trail? Would we like to have a plaza at the Denny Way intersection, as was illustrated in one of the images? 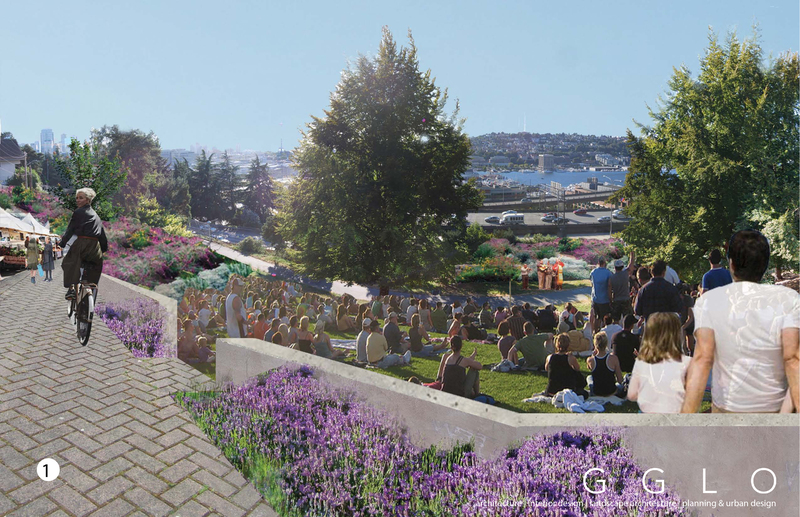 Maybe Bellevue Place Park will look a little more like this in a few years? 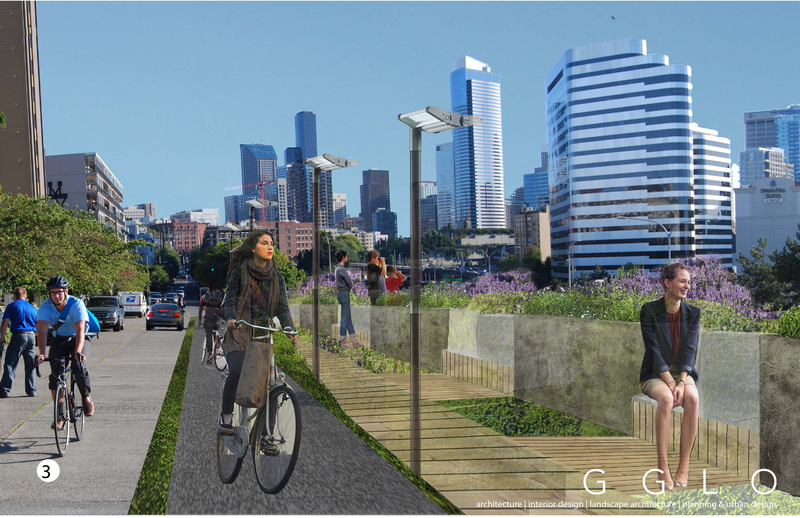 Who would like to see p-patches along the bike trail just north of Roy Street?